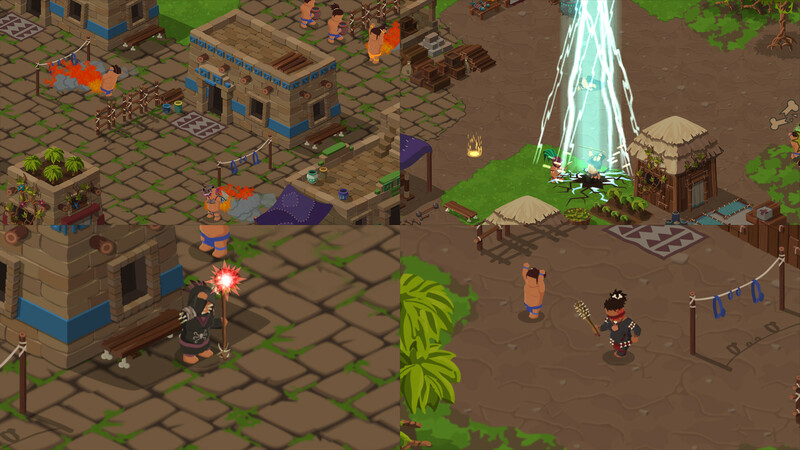 Rule and guide a mesoamerican village through the vicissitudes of everyday life in the heart of a ruthless jungle. 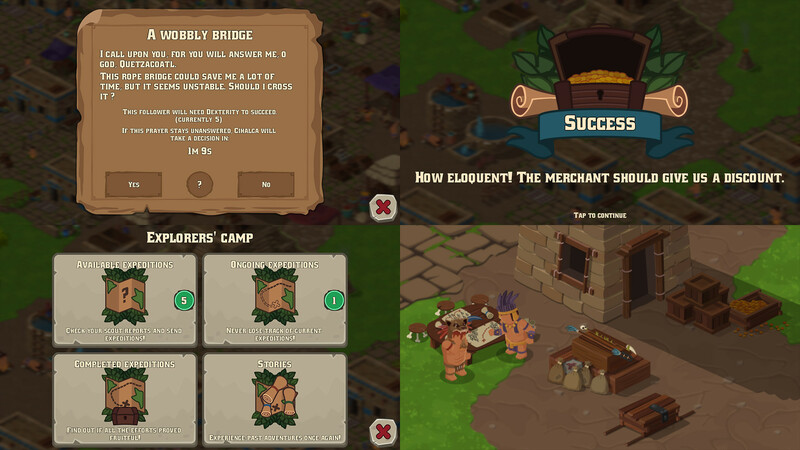 Manage a cute rural village, be the heartless divinity you always intended to be and suffer our debatable humor in this god-game-meets-town-sim. Decide who is worthy of your tremendous powers, earn the faith of your followers, and gift them with divine knowledge to rebuild the great city that is now in ruins. Rename your followers, change their gender, their outfits, their weapons, rejuvenate or age them according to your desires! Use your divine powers to heal your followers and protect them from enemy attacks! Answer the prayers of your followers, increase their faith, and gain access to a set of powers: Fireball, Earthquake, and much more! 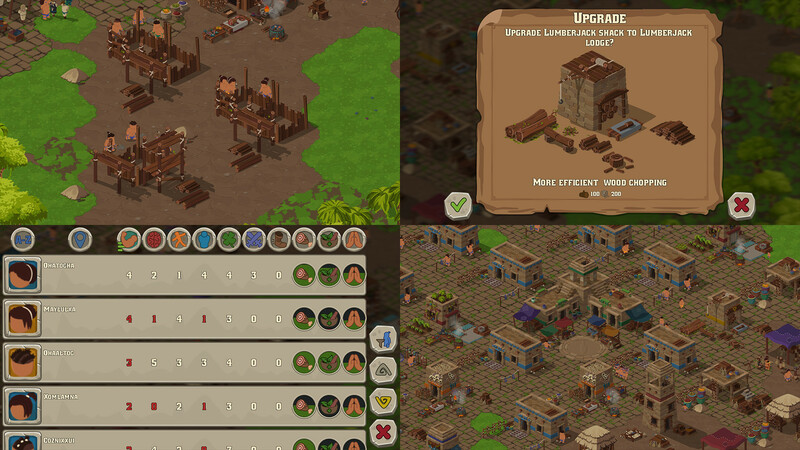 Sacrifice your followers to unlock new technologies needed for the expansion of the village! Launch expeditions through the wild jungle and discover its many treasures! Choose your explorers carefully: each follower impacts the success of the expedition differently depending on his or her personality! Find new legendary weapons and outfits and discover their stories! 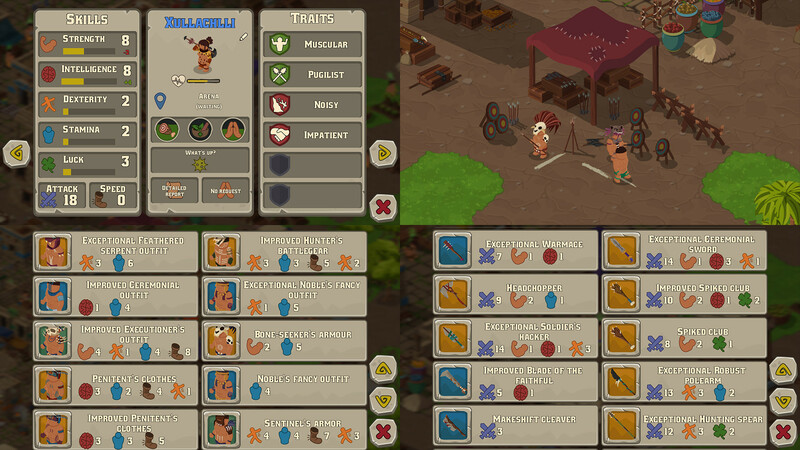 Take revenge on enemy tribes, or convince them to join you! Need help? A question, a suggestion? Don't hesitate a single second! Head over to our Frequently Asked Questions page or contact us.